Replacing or adding a bath is a great way to make a bathroom both functional and attractive. Gone are the days when you only had insert baths to choose from. Today, baths are available in a range of designs and styles these days. 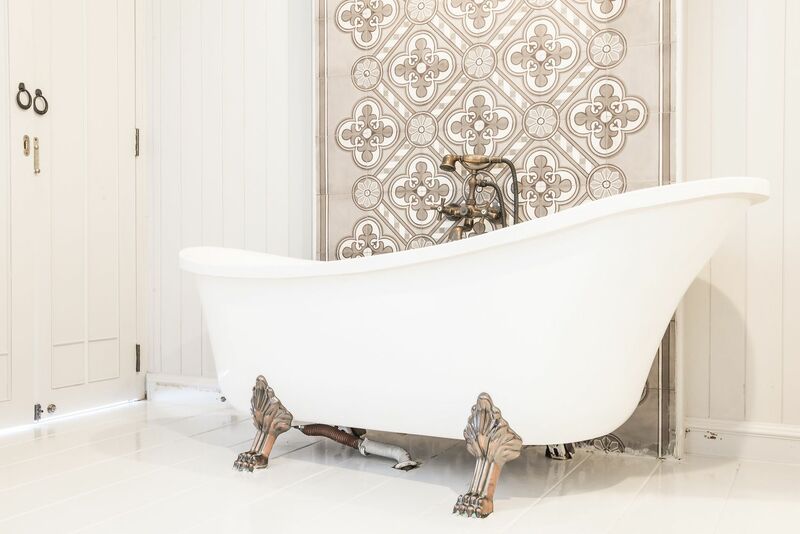 While this is great from a design aspect, it also means you have more things to consider when you’re out looking for baths in Perth. Today, we’ll take a look at just what these considerations are. So, continue reading this post to find out the top five things you need to consider when buying a bath. 1. Freestanding baths, back to wall baths or inset baths? The very first thing you need to consider when choosing a bath is what type of bath you want. You have these options at hand; freestanding baths, back to wall baths and inset baths. Inset baths are the traditional option, while freestanding baths and back to wall baths are a modern trend. The size of your bathroom will decide which kind of bath you should go. If your bathroom has a lot of space and your bath doesn’t need to be placed up against a wall, go with a freestanding bath. Place it in the centre of the room, and you’ll instantly convert your bathroom into a sanctuary. On the other hand, if your bathroom doesn’t have much space, go with an inset bath or a back to the wall bath and place it towards or on the wall. Whether you’re looking for freestanding, back to the wall or inset baths in Perth, look no further than Alpine Building Products. We offer a full range of baths in various designs and sizes to meet your needs. 2. Combined or separate bath and shower? Consider whether or not you want a combined shower/bath or a separate shower and bath – this will greatly impact your decision making. Which you choose really comes down to how you plan to use your bathroom and of course, the size you have to play with. If you have enough room to have a shower and bath, then naturally you should choose a separate bath and shower. This will also allow you to indulge in each experience separately. However, if you are lacking space but don’t want to lose your bath, then, a combined bath and shower would be the better option. In such a case, a back to the wall or inset bath would be preferable. As mentioned, baths in Perth are available in a range of designs and styles. From round baths to oval baths and elongated baths to hard-edged baths, baths come in various shapes. While elongated and hard-edged baths were popular in the past, round and oval baths are more popular these days. These curved baths don’t have any edges, and they offer a luxurious feel. Consider the available space in your bathroom and choose a bath accordingly. Baths are available in a range of sizes, so you should find a style that you’re looking. Make sure that it isn’t oversized or undersized for your space. Here, at Alpine Building Products, our bath range includes both curved and modern elongated designs. So, regardless of what design you’re looking for, you’ll find it with us. You must also consider the bath’s quality before making a purchase. The best way to determine if a bath is high-quality is the manufacturer’s warranty; the longer the warranty, the better the quality the bath will be. All our baths at Alpine Building Products are manufactured using quality acrylic and are backed by a 5-year warranty. Also, when it comes to the colour of your bath, stick to neutral colours. White is the most popular choice, followed by other light pastel shades. Matte black is a new colour which is trending these days. Stick with white or black as you can easily match your décor with them. Don’t forget to consider if you need any fixtures and accessories along with your new bath. Think about how you will use your bath and how you will fill it with water. Then consider if you need bath screens, additional faucets or fixtures, freestanding taps, hot and cold-water outlets and other accessories. All of these will contribute to your bathing experience, so make sure to give this some thought. Before purchasing a bath in Perth, there are a few things you should consider. Consider whether to go with a freestanding bath, a back to the wall bath or an inset bath and whether you need a combined or separate bath and shower. Think of the design and style you want to go with and determine if you need additional fixtures and accessories. Always choose neutral colours like white or black and make sure to purchase a high-quality bath. And when you’re ready to purchase a bath in Perth, look for Alpine Building Products’ baths. Check our retailer page to find an Alpine Building Products stockist near you!